No. 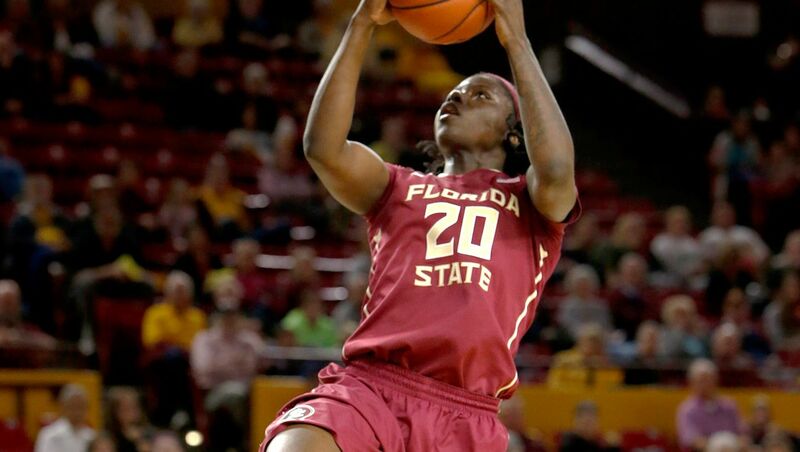 16 Florida State women beat Pitt 66-55 - Women's College Basketball - Are You Watching This?! PITTSBURGH (AP) Leticia Romero tied her season high with 18 points and Adut Bulgak posted her 17th career double-double to lead No. 16 Florida State over Pitt 66-55 on Sunday. Bulgak had 11 points and 12 rebounds while Shakayla Thomas added 12 points for the Seminoles (14-4, 4-1 ACC), who dominated scoring in the paint, 40-18. Brittany Brown's jumper gave FSU its largest lead of 23 points in the third quarter. Pitt scored the first 12 points of the fourth but could only get as close as nine on Cassidy Walsh's 3-pointer with 30 seconds left. Florida State led from opening minute. Romero and Thomas both scored six points in a 17-2 run that gave the Seminoles a 36-15 lead before Pitt cut it to 13 by halftime, 38-25. Brenna Wise had 14 points for the Panthers (8-10, 0-5), who have dropped six straight.